Built as a small family car, the Vauxhall Astra has been available since 1979. After a fairly recent rebrand, Vauxhall is now one of the most respected marques out there. Cars like the Astra helped revolutionise Vauxhall and, now we’re into the newest model, it continues to impress. With the GTC – which is the sporty version – drivers can experience a more thrilling driving experience coupled with the Astra’s great looks. A used Astra is a massively popular car, and there’s a wide range of them for you to choose from. 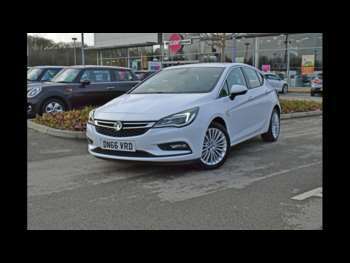 No matter the used Vauxhall Astra you go for, there are airbags galore, safety equipment everywhere and plenty of gadgets to keep you entertained. The quality seems to have improved over the last incarnation, too. Not only does a used Vauxhall Astra look great on the outside, but it’s also spectacularly stylish on the inside, too. There’s plenty of interior space, with legroom or headroom unlikely to be an issue for any passenger. Though the roofline tapers, there’s more than enough space in the back of the car. It must be said that the boot isn’t the biggest. However, it is still a good size for a car of this stature. Driving a second-hand Vauxhall Astra is a positive and enjoyable experience. It has plenty of grip, clever tech and loads of charisma on the road. And with the SRi models you’ll be ensured of a sporty drive, too. 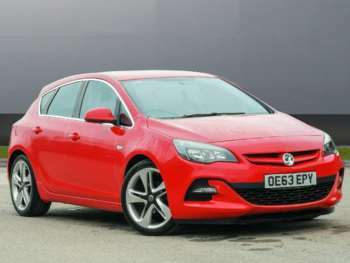 Fairly comfortable, a used Vauxhall Astra offers a solid performance and handles reasonably well. So, there’s no wonder the used Vauxhall Astra is a front-runner in the small family hatchback class. Its simple design manages to be magnificent. 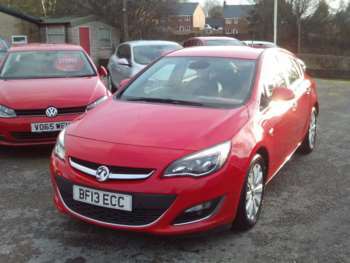 Got a specific Vauxhall Astra model in mind?